E0, E8, and F0 are the original integer BASIC ROMs. 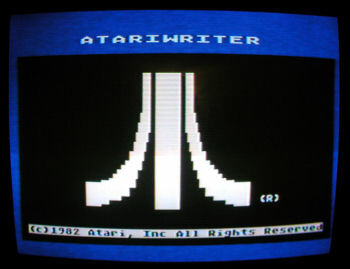 As originally received, the system displayed alternating white/black vertical lines with a cursor at the bottom left, when powered on but no Apple ][. I could type at the keyboard and the cursor moved to the right, but no characters. I needed to research the ROM genealogy to see what should be there, and whether my test ROMs are a match. 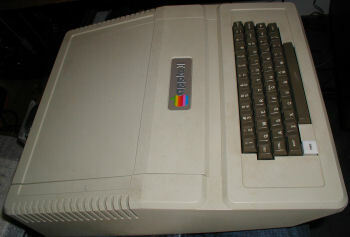 This system also came with a homebrew joystick and an envelope labeled "Apple 3.2 chips" (these are not ROM chips), containing 2 chips of the L74-type. I need to research what these are for. The horizontal lines problem was solved when I noticed that a character generator chip mod was not in the slot correctly. I have a bare Apple II "RFI" model board and I swapped a few chips and the ROMS to get farther than before, but I still couldn't get a completely clean boot. I could read a CATALOG of the diskette, but I couldn't load programs and usually the system froze or bombed to the monitor ( * ) prompt. I next started swapping RAM. No improvement. 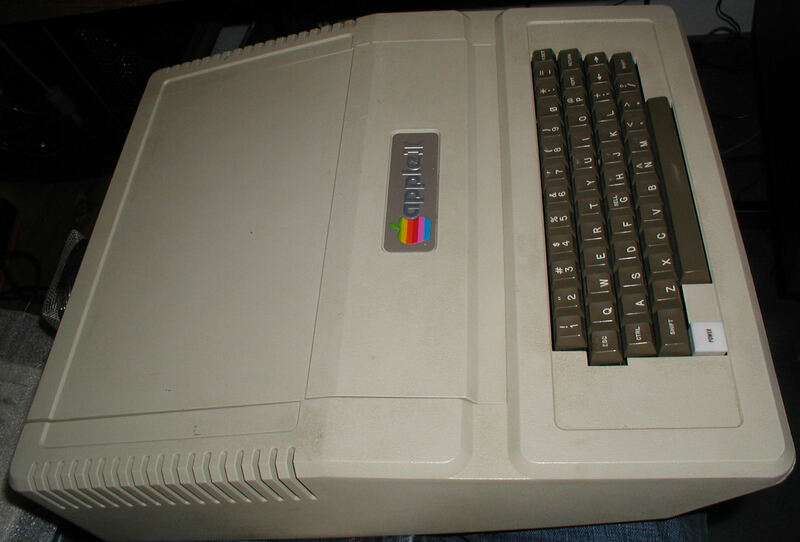 I then put the ROMS from a known-working Apple II, and the system booted fine, and loaded a hi-res program. That tells me that the RAM is OK, and the TTL is OK (at least enough to boot and load programs). Upon closer inspection of the ROMS from the bare Apple II board that I was using as my source for ROMs, I realized that the previous owner had accidentally switched the ROMs out of the correct order. I corrected the ROM positions and now the system appears to work correctly, restoration complete. Which of the the three integer BASIC ROMs is bad? I know that the 28080M is OK, but the other three are all suspect at this point. 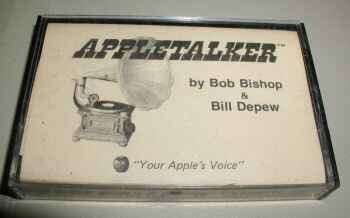 It also appears that the bare Apple II "RFI" motherboard has mostly good chips and can be used for another project. Will burn you a new set at a reasonable price. 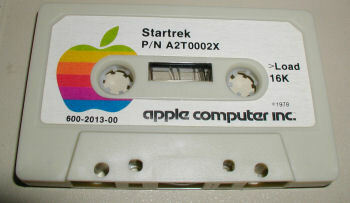 You can go with the original monitor and interger basic, or the more modern applesoft and monitor. 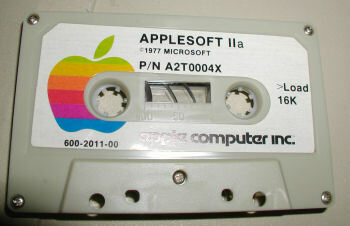 The applesoft option will give you the best compatability with everything, but may not be the best choice for "stock"